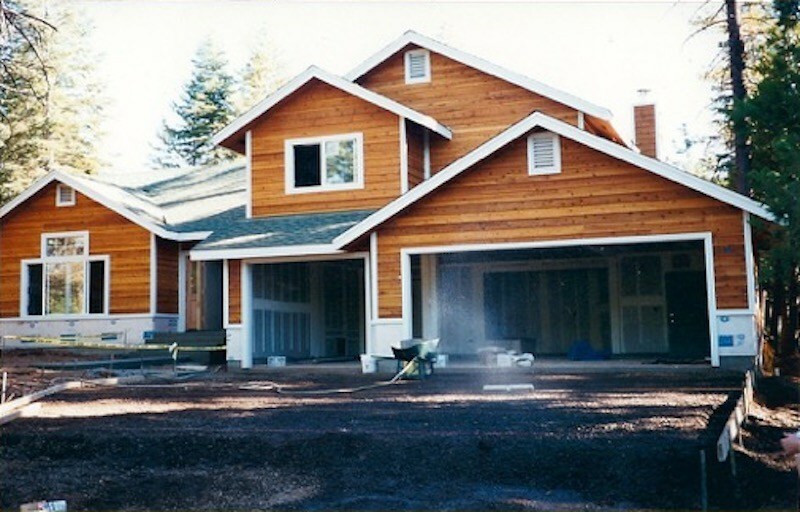 Cedar lap siding was an important feature for this home we built in Burney, California. The home became part of its environment with the green roof matching neighboring foliage, and siding similar to the trunks of the mature trees. White trim and fascia created an outline to an otherwise obscure setting. This is a two-story home, including a split-level with a sunken living room down stairs. Owner provided and installed their own tile in the kitchen and bathrooms. The Cedar siding was kept from checking and cupping by sealing BOTH inside and outside surfaces prior to installation.